It’s almost April 15th or National Tax Day, so I figured what a great time to cover a rather boring topic, but a topic that everyone who is thinking of buying a home in Myrtle Beach needs to know information about, property taxes. South Carolina was ranked by USA Today as one of the most affordable property tax rates in the country. In the article published in 2017, the average property tax for homeowner in South Carolina is $1,294. Personally, I think this is main reasons why we have so many people moving from areas like Pennsylvania ($3,900), New York ($7,013), Virginia ($3,181), Massachusetts ($5,513) & New Jersey ($8,477). 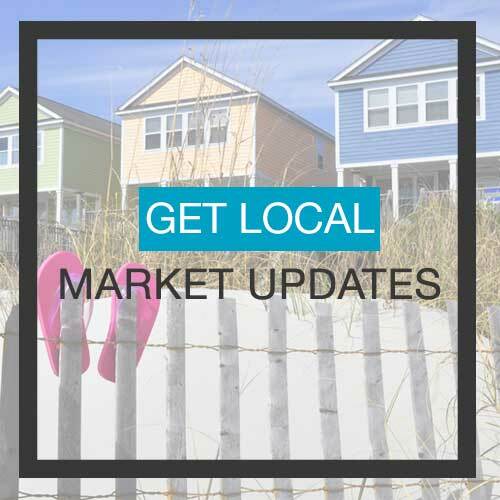 Higher tax rates & more severe winter weather, are the main reasons Myrtle Beach has consistently been one of the top places to relocate the past few years. I’m originally from Reading, Pennsylvania and moved to Myrtle Beach, South Carolina right after graduation with my family. My parents were tired of dealing with the snow and higher cost of living, so we wanted a change and Myrtle Beach was an area they had visited multiple times over the years so it was a perfect solution for us to move here. When I started to write this article, I wondered what the average taxes are on the home we owned in PA in comparison to the home my wife & I recently purchased. Below is the estimated taxes on the home I grew up in Reading, which I did verify were accurate with a fellow agent in Berks County. As you can see, the home there is now assessed around $123,000 according to what I could find online with an estimated annual tax of $5,369.43. This number is more than 4 times the average for what a primary homeowner in Myrtle Beach pays on their property taxes. In comparison, my wife and I purchased a home at the end of January in The Farm At Carolina Forest has an assessed value of $176,980, and the annual property taxes on this home were $746.65 last year. What this means is that the home I grew up in that is valued over $50,000 less costs over 7 times the amount of taxes then our home in Myrtle Beach. Now, this average number of $1,294 for South Carolina is taking all parts of our state into the equation including Charleston where the average is over $2,000 due to a higher price point on property and also does not separate primary homeowners from out of state & multiple property owners. One thing we have to clarify when discussing taxes is to determine whether the home is going to be a primary ownership or second home/investment property. It makes a huge difference in the amount of taxes you will pay in Myrtle Beach. When purchasing a home in Myrtle Beach, Horry County automatically taxes everyone at the secondary tax rate and each homeowner needs to prove residency to the tax assessor to get the discount. This means you are assessed at the 6% tax rate instead of the 4% tax rate. When I bought my first property in Myrtle Beach back in 2006, I did not know this and my taxes on a townhome valued at $110,000 were over $1,900 per year. Coming from the north where taxes were more than 3 times that, I was happy and just went on with life. Then after living there almost 2 years I realized that I was not getting a South Carolina residency discount and so I took the necessary steps to get thing changed over and my annual taxes then dropped down to $636. Homes owned in this area as a primary residence versus second home or investment, are usually half to one third the amount of taxes owed, so it is very important to get your taxes switched over when buying a home in Myrtle Beach. SC motor vehicle registration showing current address for owner. First two pages of current tax returns. Horry County now has the ability to apply online here for the primary residence SC tax rate or you can do so at the Horry County Tax Assessors Office with all the proper paperwork. There are other ways to save on your SC property taxes, that are only available to certain groups of people. The first tax exemption is only available to our veterans. They must apply for this discount, but is a well deserved benefit for those who fought to protect our amazing country. The second discount is the Homestead Exemption which is a complete exemption of taxes on the first $50,000 in Fair Market Value of your Legal Residence for homeowners over age 65, totally and permanently disabled, or legally blind. Just like the legal residence application, you must also apply for the homestead exemption in order to save. This too can be applied for online here. For people thinking of retiring to Myrtle Beach, taxes is a question that is definitely on their mind. I recently had this question asked on my video of Plantation Lakes on my YouTube Channel. As someone who would be on a fixed income source, knowing the taxes in Myrtle Beach is something that can be very important to know and understand before purchasing a home here to live in for the rest of your life. Now, while South Carolina ranks as one of the lowest places for property taxes, SC also collects taxes on vehicles. When you purchase a vehicle in SC there is a one-time infrastructure (IMF) rather than sales tax. This fee is 5% of the price up to a maximum of $500 that took effect in July 2017. Then there is an additional tax that you will pay annually when renewing your tags for the vehicle. Last month I paid the bill for my 2013 Honda Odyssey. The total amount due was $147.84. Here’s a copy of the recent bill so you can see how it breaks down. This bill changes each year as the value of your vehicle depreciates. So unless you are buying new $70,000 vehicles every year, your bills should be rather minimal. I also just recently got the bill for my other vehicle to pay and since it is newer it is around $480. If you combine the taxes on our home plus our two vehicles, we still are paying under $1,400 a year for all of our taxes to live in South Carolina which is only a fraction of what we paid when living in the north. So in conclusion, while you might pay taxes on more than just your home, in the long run, you are still going to save money in the long run when your property taxes on your Myrtle Beach home are so much less than other parts of the country. 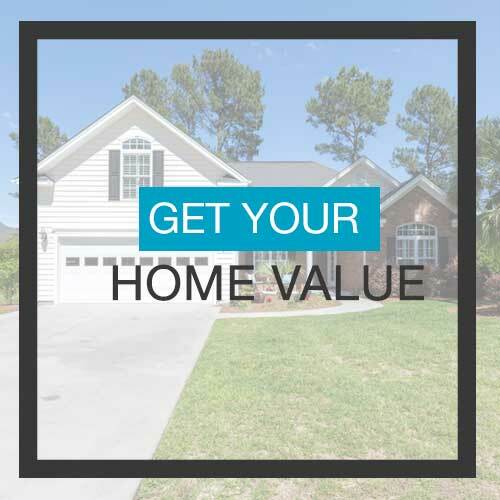 If you are thinking of moving to Myrtle Beach, I’d love the opportunity to help you find a home here in the area. Feel free to call me at 843-222-9402 or contact me below with any questions you might have. Jeremy was very thorough in helping us get our home sold in Conway. We were in contract within the first 5 days and sold it quickly! Jeremy was just what we needed in a realtor. Jeremy is very knowledgeable about the area and what we wanted. I would highly recommend him to anyone! He definitely knows the myrtle beach area and listens to what you are interested in. Jeremy did a wonderful job representing me as a new home buyer in Myrtle Beach. Jeremy is an easy and friendly professional to work with and went above and beyond to help meet my requirements and budget. He made great recommendations in his network, where appropriate, to aid in the buying process. Jeremy provided proactive and timely feedback throughout the process to keep me informed as to the progress of listings, our eventual contract and was engaged through and after the closing. I would recommend him to anyone buying in the Myrtle Beach area. He’s Simply The Best, Period, Hands Down! There are not enough superlatives to describe Jeremy and his business ethics and knowledge. He is simply the best, period, hands down. He will tell you the straight of things, not something to make you buy so he gets a commission. He looks out for YOU, his client, whether you are the buyer or seller or both. No one else comes close to his abilities. We trust him enough to buy a condo without seeing it! Jeremy worked very hard to ensure we got a good, stable offer on our property. He is very responsive and kept us in the loop every step of the way. We felt confident knowing we were in good hands. Jeremy was easy to work with, especially since we live in DE and were looking at Myrtle Beach properties. He made videos for us and gave us any insights we might need to know since we couldn't tell from the video everything. Not Only Did He Help Us Buy, But He Connected A Selling Agent in Charlotte! In our lengthy search for a home which began last year, we had Jeremy stay in touch with us on a regular basis. We hadn't even signed to use his services. This personal attention made use choose him. Not only did he work hard to find us the right home, he also put us in contact with a selling agent in Charlotte. My home there sold in 10 days, thanks to Jeremy this was possible. All through the search Jeremy was courteous, professional and extremely knowledgeable. He was very patient with us as i'm sure we made him crazy. Thanks and I recommend Jeremy to everyone and anyone. Jeremy marketed our home using the most effective advertising and photography techniques/methods. We moved out of the area before our home sold but he kept us informed, held numerous open houses and facilitated the closing process smoothly when it sold. Being a first time home buyer I needed a little "hand holding" and Jeremy was right there to provide that for me. He was always there for me to answer any and all questions I had and I just knew from the moment I started working with him that he truly had my best interest at heart.